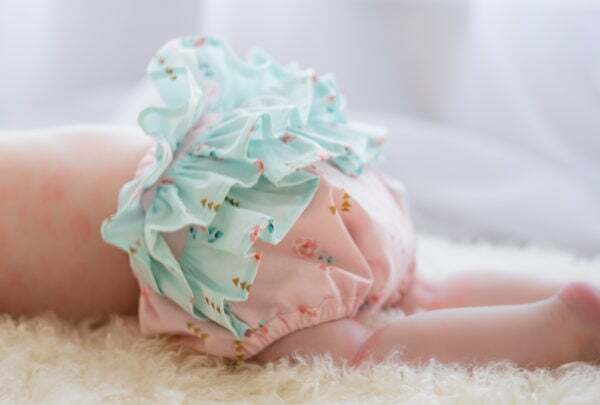 Learn how to sew a diaper cover with ruffles all the way across the back with this Ruffle Bum sewing pattern. 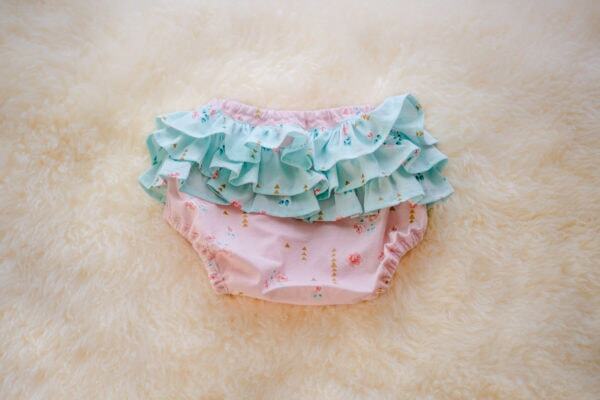 The ruffles are especially adorable as your tot starts to roll on to their tummy! 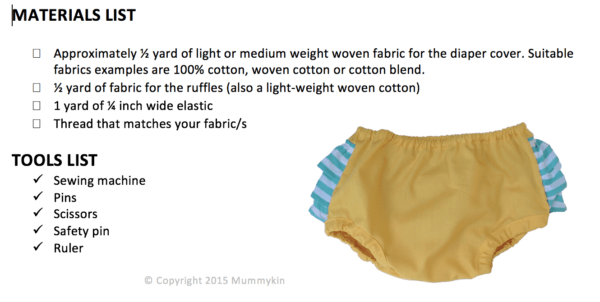 You can use the finished nappy cover with cloth diapers or disposable nappies. It is stylish and,very handily, can also help hold in any spillages! 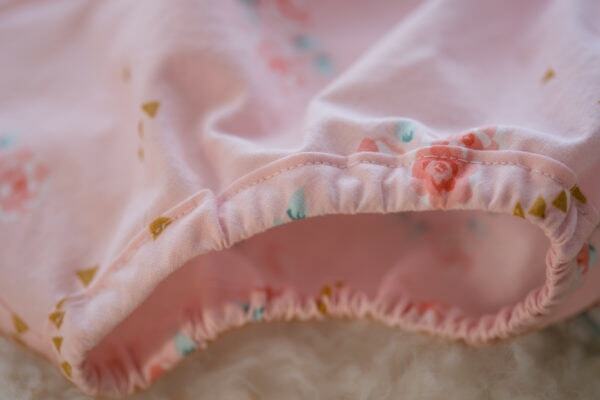 All the cleverly-designed self-finishing seams means the raw edges are neatly tucked away out of sight. 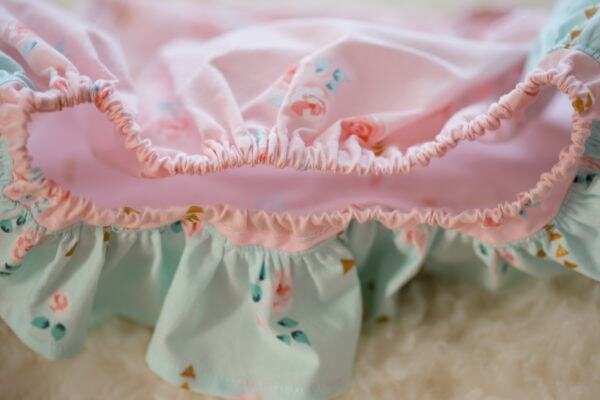 As such there is no fraying fabric for little hands to pick at! 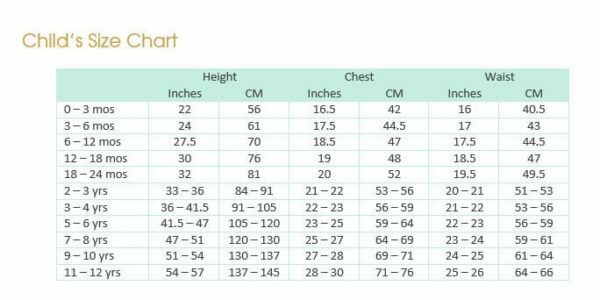 Fabrics – Light or medium weight woven fabric. Suitable fabrics examples are 100% cotton, woven cotton or cotton blend. Format – This pattern is a downloadable PDF and comes in A4 or US letter printable sizes. An A0 format (pattern pieces only) is also included should you wish to have your pattern printed professionally. PDF Layers allow you to select and print only the size/s you want. 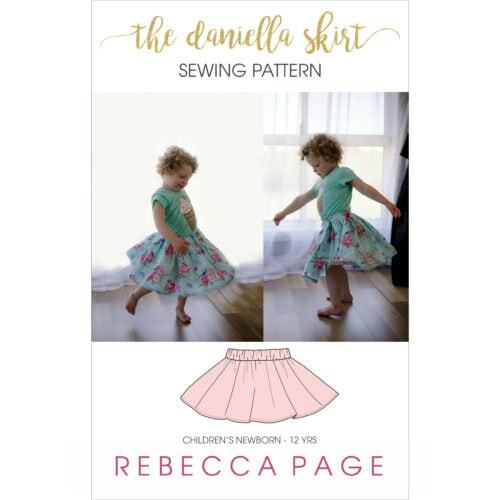 Support – Please join the Rebecca Page Sewing group should you require any assistance at any point throughout your RP sewing experience. This wonderful community of sewistas is friendly, knowledgeable, and always willing to help! It’s also just a happy place to be where you can share photos of your RP sews, enter giveaways, get sales information, and new-release updates. 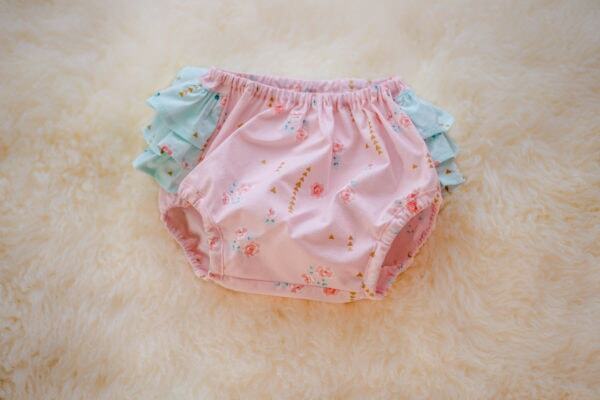 The ruffles are very cute. 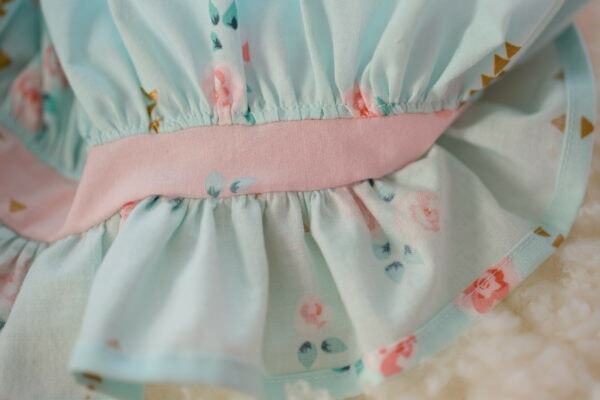 The fabric cut is longer than I usually use for ruffle bums and I think it works really well. As long as you are confident in your abilities, you will get a great finished product! 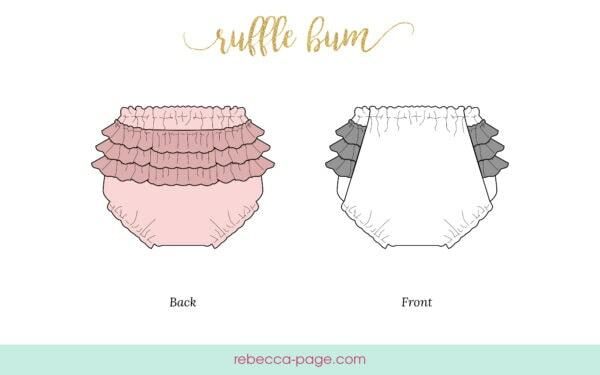 Tag your photos with #rprufflebum on Instagram.